The chairmen of the Liverpool and Merseyside UKIP branches have both resigned, citing the “unprofessional approach” and “insensitivity” of party leader, Paul Nuttall, regarding the Hillsborough disaster. Stuart Monkcom, chair of UKIP’s Liverpool branch and Adam Heatherington, UKIP Chairman for the Merseyside region of branches, have left their roles days before Mr Nuttall is set to stand in the Stoke-On-Trent Central by-election. 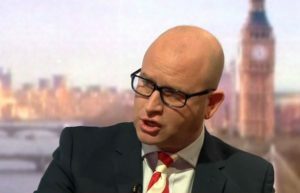 The resignations cement a damaging week for the UKIP leader and his party, following the revelations that Bootle-born Nuttall was quoted on his website as claiming he lost “close friends” in the Hillsborough disaster. Mr Heatherington cited his belief that the leadership of the party are not fit to lead at present as part of his resignation. As part of a joint statement, Mr Monkcom said: “Although the timing of our resignations is unfortunate in light of upcoming elections, both Adam and I wish to make it clear, where the painful subject of Hillsborough is concerned, with closure not yet in sight, this unprofessional approach and crass insensitivity from high profile people closely within and without UKIP is upsetting and intolerable. The pair also cited the insensitive remarks made by UKIP’s major donor, Arron Banks, towards Hillsborough on Twitter. Mr Banks, who gave around £7 million to the European Union Referendum campaign, complained about continued attention being given to the 1989 disaster. Mr Heatherington, who ran for Mayor of Liverpool in 2012, added: “We have been affected both personally and professionally by words that were not said in our name. The UKIP leader’s website remains down for maintenance and has done since the news broke last Tuesday afternoon. The 40-year-old is standing for election to parliament in the Stoke-on-Trent Central by-election on Thursday and has been tipped to win the seat from Labour following the resignation of Tristram Hunt MP.